Rim Fire Challenge,Nov 3rd… | Blue Ridge Cherry Valley Rod and Gun Club Inc. 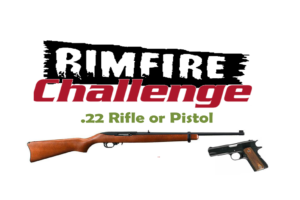 The Rimfire Challenge Event is a program of The National Rimfire Challenge Association. The program was developed with safety in mind. The program introduces participants to the fun and excitement of competitive shooting in a safe, low-pressure, family-friendly format. New, novice and experienced shooters are welcome to compete. Shooter compete using a rifle & handgun from any manufacture in .22 Long Rifle caliber. There will be a mandatory one-half hour safety briefing before range time. Anyone not attending the safety briefing forfeits his or her participation in the event. Those not helping to set up will be charge the normal amount of $20.00 cash. Lunch is included in your match fee. Jim Meola, vp@brcv-rodgun.org or come on the date of the match and register then. If you have have any further questions, please contact Jim Meola.